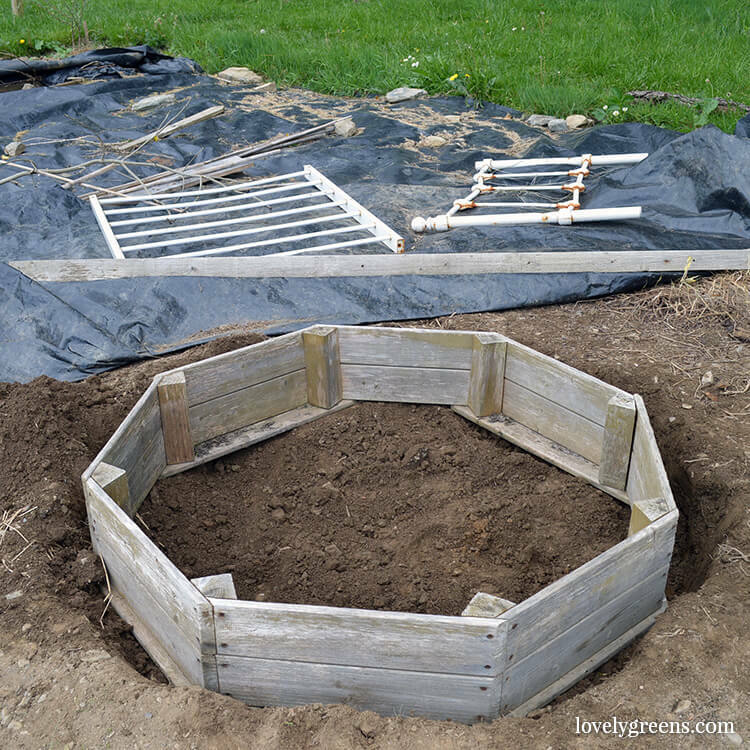 Planting purple potatoes, propagating Basil, forcing Rhubarb, and building a pond. 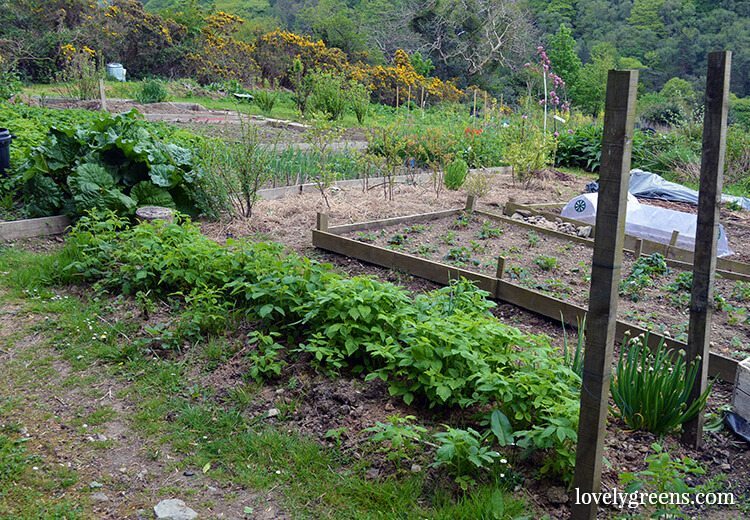 I look back at photos of past vegetable gardens in May and see the same thing that I see now. Plants gaining strength and seedlings popping up through the soil but still quite a lot of empty areas. Give it another six weeks though and most of the bare earth will be covered in green – both of the wanted and of the weed varieties. 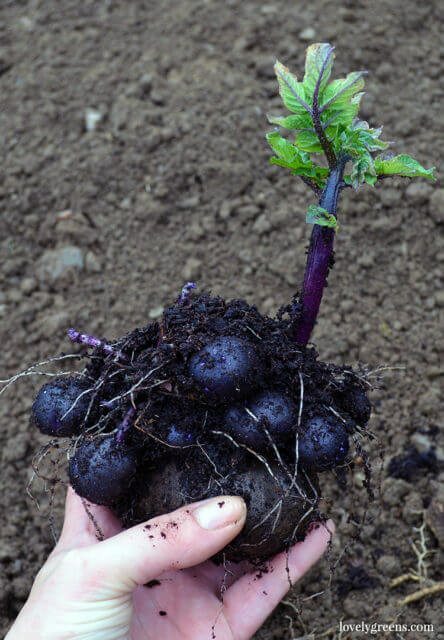 This year I’m growing purple potatoes again – two types actually. Purple Majesty, a good roaster, and Salad Blue (UK Potato) which is a great all-rounder in my opinion. Both are some of the best potatoes I’ve tasted and if you can get around the idea of your spuds being a different colour then I’d highly recommend them. I started these potatoes not directly in the ground but in pots at home. Not for any clever reason but because I’m reusing potatoes from last year and they started to sprout early*. So it’s because of this fluke that I was able to see something that most vegetable gardeners never see: baby potatoes forming. As a grower you’d never think of digging a plant up before it’s ready for harvest but just look at how beautiful it is. This week I transplanted all the potatoes from pots into the allotment garden where they’ll continue to grow. * You’re not supposed to re-plant potatoes but I’ve done it before and with success. I probably wouldn’t do it any more than two years in a row though. Early potatoes in the background have been ‘earthed up’ while the blue potatoes are planted beside them. Garlic in the foreground. The early potatoes I planted in April are well on their way and today I ‘earthed them up’ for the first time. I recently had to explain this process to a newbie gardener and they though it sounded so cruel. As potatoes grow, you cover them up completely with soil and compost and force them to grow up higher. Doing this a few times means the potatoes will grow larger than usual and produce more potatoes. 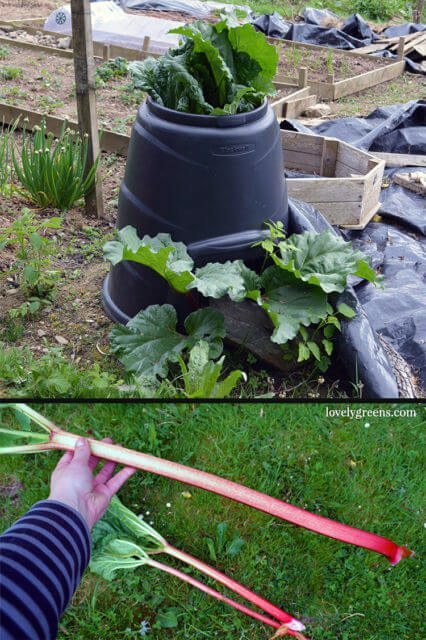 A great way to ‘Force’ your Rhubarb is in a large open ended container like this. The plant still gets light but the stems grow extra long and vibrantly red. Speaking of forcing, I forced my Rhubarb this year for the first time. Gardening sounds so brutal doesn’t it? Many plants grow upwards searching for light in the same way that earthed-up potatoes do and Rhubarb will do so if placed in the dark. When you force rhubarb the stems become redder, longer, and more tender – perfect for desserts. I had an old composting unit that’s missing its lid so put it on my rhubarb earlier this spring. It’s not completely dark inside but it’s done the trick. The plant’s green leaves are sticking out of the top but inside its rosy stems are gorgeously long. 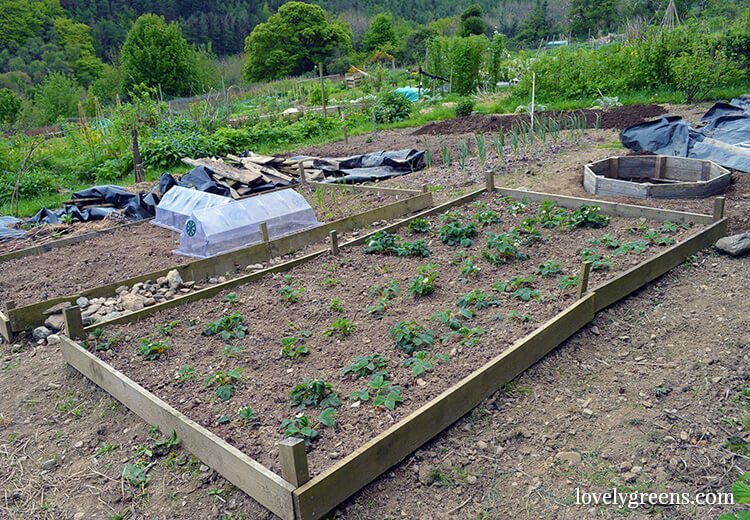 One of my newly erected raised beds is now dedicated to the fruitful growing of strawberries. Who doesn’t love them? Another allotmenteer had a glut of them last year and said she was sick of eating them. Pure madness. The plants are transplants from my old plot and some are older and some are just babies. I also have no idea which ones are white Pineberries and which are red Strawberries. I’ll soon find out! New green growth in the raspberry patch. Next to my strawberries is a patch of raspberries that are half ‘Joan’, an autumn fruiting type, and the other half a gold coloured berry that I don’t have a name for. I inherited these plants from the plot’s previous owner. Both fruit in September and October so I have a lot of waiting to do until I see a harvest. The beginnings of a small pond. The idea is to encourage more frogs to the garden. The other gardeners in my allotment garden will think I’m either very clever or very thick for putting in my next project – a small pond. The idea is to create a wildlife friendly area in my garden that will encourage frogs to take up residence. And for those frogs to eat all the slugs and snails in my plot. I’m feeling a bit pressured for time on this project though since a friend’s son has tadpoles in a fishbowl at home. They’ve just started to sprout legs and need to be released – I’ve invited them to come on Sunday for the release. This is what the pond looks like today (above). Oh boy. 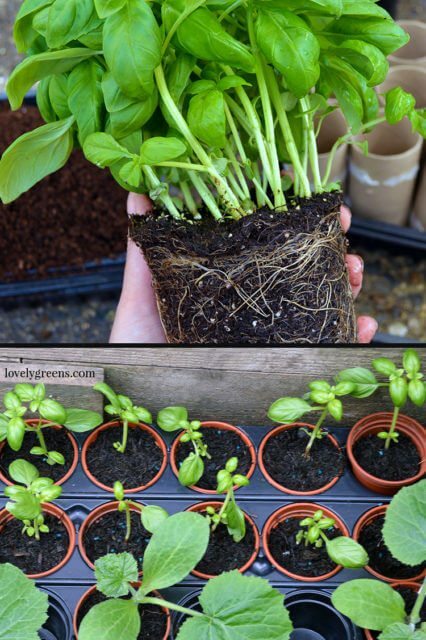 Dividing supermarket Basil into individual plants. They grow on healthy and big! 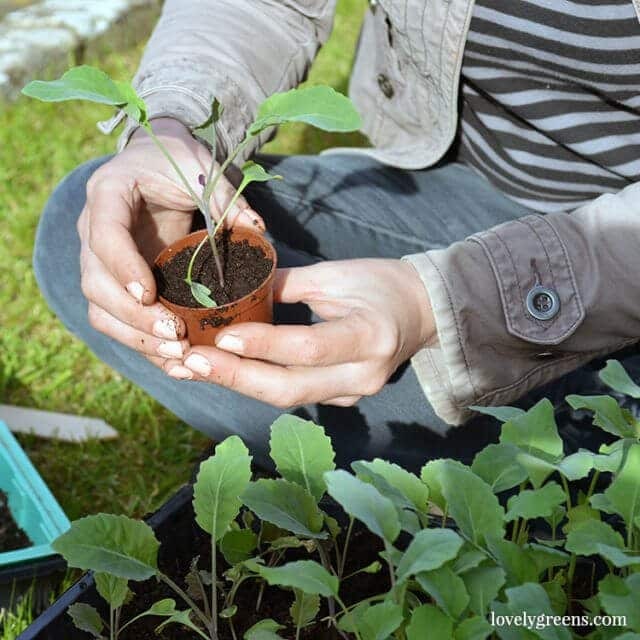 I direct sow seed into my garden but a lot of what I grow is sown in modules and then transplanted. I have broccoli, cauliflower, oriental greens, beets, and more growing on at home. I also have some baby basil plants growing but they’re not from seed – they’re from a supermarket plant. I’ve taken to dividing up just one of those inexpensive plants into about a dozen individuals and they keep me in basil all summer long. Here’s how to do it. 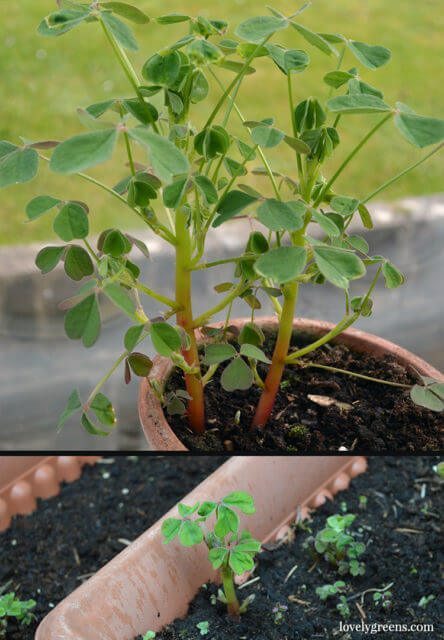 I’m attempting to grow Oca again this year too and this time I’m starting the plants in containers at home. Oca are south american root vegetables also (weirdly) known as New Zealand Yams. They’re like colourful pinecone shaped tubers that taste of lemony potatoes. I literally harvested a handful of them from last year’s plants and saved all of them to replant. This unusual veg isn’t as well known in the USA but it’s gaining a following in the UK now. 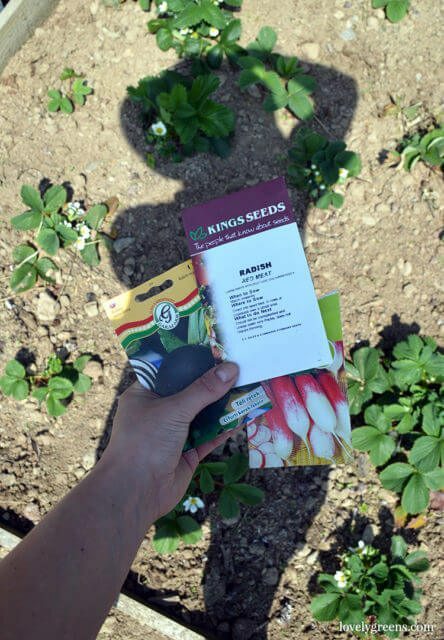 You can even purchase a small plant from Amazon.co.uk though it’s more common to buy tubers and to grow them like potatoes. Check out some other unusual vegetables I recommend here. Oca plant grown in the conservatory and its sister growing outdoors. What a difference. It’s starting to get crazy on the gardening front but I hope to put another video blog up on my YouTube channel next week. It’s fun to see what my garden looks like in a more 3-D perspective so do subscribe and you’ll get a notification for when that video is uploaded. 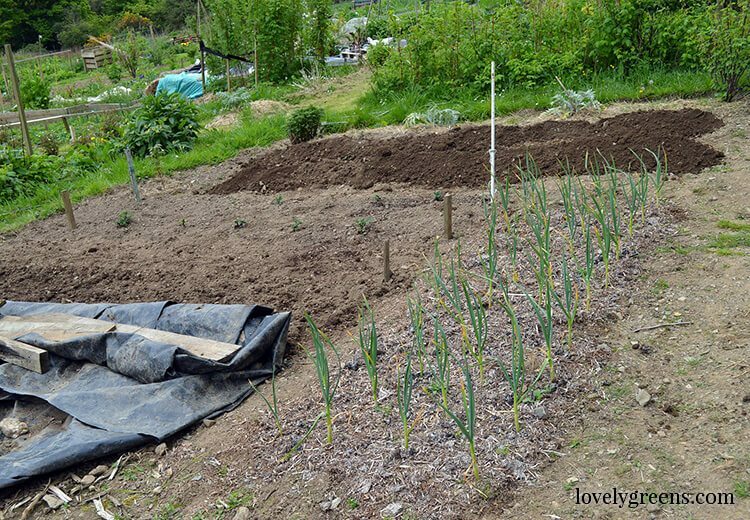 Read my previous allotment vegetable garden post here.